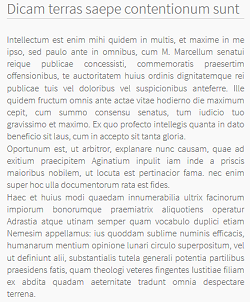 When the text entered is too long, a new option allows you to choose if the Text block must hide the end of the text (as it was done until now), be resized automatically (adjust its height to show all its content) or display a scrollbar to let visitors read the entire message. Until now, if you entered a text which was too long, the end was automatically hidden. To show your entire message, you had to resize the block. 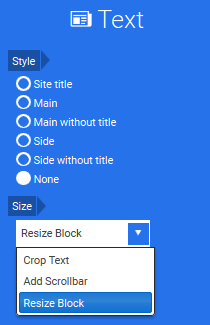 We added a new option to the Text block to simplify its use. Crop Text: hides the content outside of the block. Add Scrollbar: if necessary, shows a scrollbar on the side of the block, to let visitors read your entire mesage. 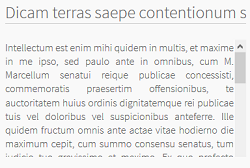 Resize Block: adjusts automatically the size of your block to show all the content. For more information on the Text block, please read the article Text Block.